The remains of a medieval skeleton has shown the first physical evidence that a fern plant could have been used for medicinal purposes in cases such as alopecia, dandruff and kidney stones. The skeleton of a male aged between 21 and 30 years found buried in the medieval necropolis of Can Reiners on the Spanish Balearic Islands, had traces of starch grains consistent with cereal plants, such as wheat and rye, and significantly, a collection of cells in which spores are formed from the underside of a fern leaf. There is no evidence to suggest that the fern leaf was part of human diets at any point in recorded history, but there are written descriptions dating as far back as the first century AD that suggest the fern leaf was used to alleviate the symptoms of particular non-life-threatening conditions. Folk medicine stories collected in various books suggest that the fern was used across Europe, but this is the first time any evidence has been found in actual human remains and the first time the particular species of fern has been identified. 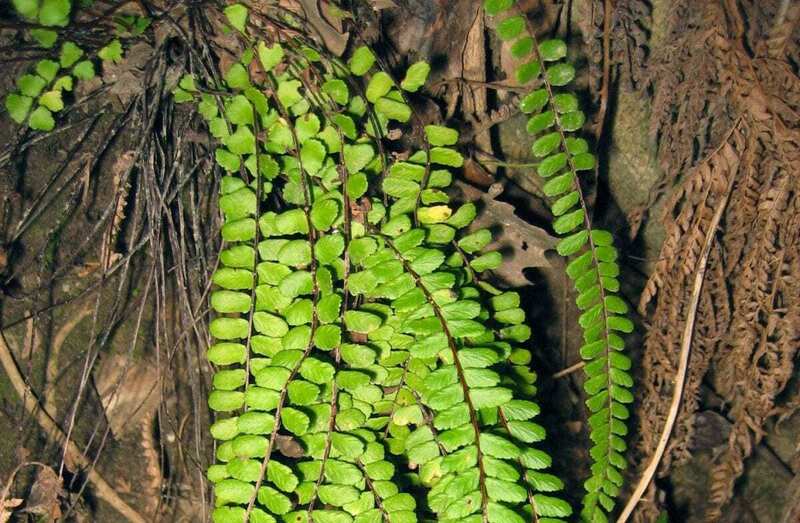 Dr Elena Fiorin, from the University of York’s Department of Archaeology, said: “Through analysis of the dental calculus of the skeleton, which we believe dates back to the ninth or 10th century, we were able to determine that the cells were from fern plant, asplenium trichomanes, a common species that grows in rocky areas worldwide. “These ferns have been used by herbalists, surgeons, doctors, and other healers for centuries across Europe, but until now we have only had written documents that describe their use. Records show that a liquid infusion was made by pouring water into fresh or dried fern leaves, and sometimes the concoction was flavoured with orange flowers or sweetened sugar or honey. Herbal texts show that the plants were exclusively used to cure particular diseases, most commonly what we would now recognise as dandruff, a common cold, kidney stones, and alopecia. There is also reference to the plant being used to stimulate menstrual flow in women. Although there is no way of telling from the skeletal remains of the young male what he was treated for, it is likely he drank a fern leaf infusion to potentially cure a condition of the skin, urinary tract, or as a decongestant. Dr Fiorin said: “The research demonstrates the use of ferns as healing plants in the Mediterranean during the Middle Ages. We now have the potential to look at other dental remains for similar properties that might tell us more about the use of medicinal herbs in the past.